Certificates from CARB have appeared that confirm the range of the Tesla Model 3 Performance and Dual-Motor variants are 455 miles. The certificate is shown below. But it is very important to note that THIS IS NOT A REAL-WORLD OR EPA FIGURE. This is based on CARB methodology, so don’t go thinking that your new Model 3 will have a range of 400+. Unless of course, you wanna hypermile it. Tesla has filed a CARB certificate for the Model 3 Long Range AWD and Model 3 Long Range AWD Performance. Still no certificate for the Standard Range model. While the figure given to us isn’t real world mileage it is still super interesting to note difference between this and RWD version. Which under the same test achieved a range of 495.1 miles. The official EPA rating for the standard long range Model 3 is 321.9 miles in city and 295.5 miles on the highway. As you can see the CARB result is ~1.5 times the EPA result. Applied to the current results this would give the new Model 3 variants an EPA rating of roughly 303 miles in the city. 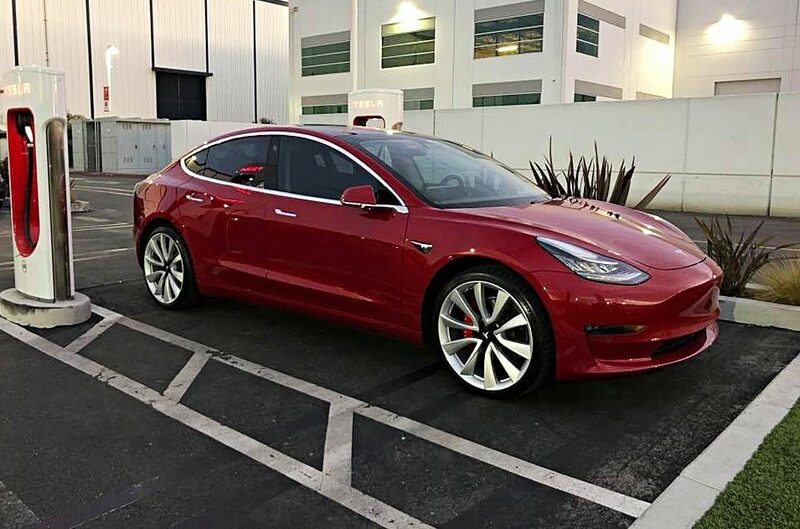 Hopefully this isn’t the case as Tesla had stated that the Performance version would have the same 310 mile range as the standard long range model. Anyways, Tesla is starting its push for profitability for the Model 3 with this new Performance variant. So it is no surprise to have this certificate pop up, allowing the car to be registered in California. Get ready to be on the lookout for this new model in the coming weeks.